Welcome to my personal web site! Bienvenidos! Manuel Ponce was born in Michoacán, Mexico. He began his studies during 1958 through 1966 at the famous Conservatorio De Las Rosas, a presitigious music school in Morelia, Michoacán, Mexico which consisted of the Escuela Superior de Música Sacra. During these formative years, his piano instructors included J. Jesús Carrreño, Ignacio Mier Arriaga, and Gerarth Muench. 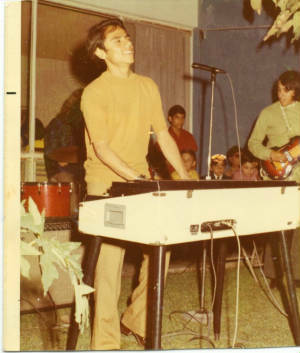 Among his voice teachers were Estanislado Flores, José Zavala, and Roberto Oropeza. His Gregorian chant mentor was Celso Chavez adn teaching him history of music and latin was Prof. Marcelino Guiza. Music publications include contributing for the Oregon Catholic Press (Flor y Canto). He has also recorded six cassettes and CD's of music. 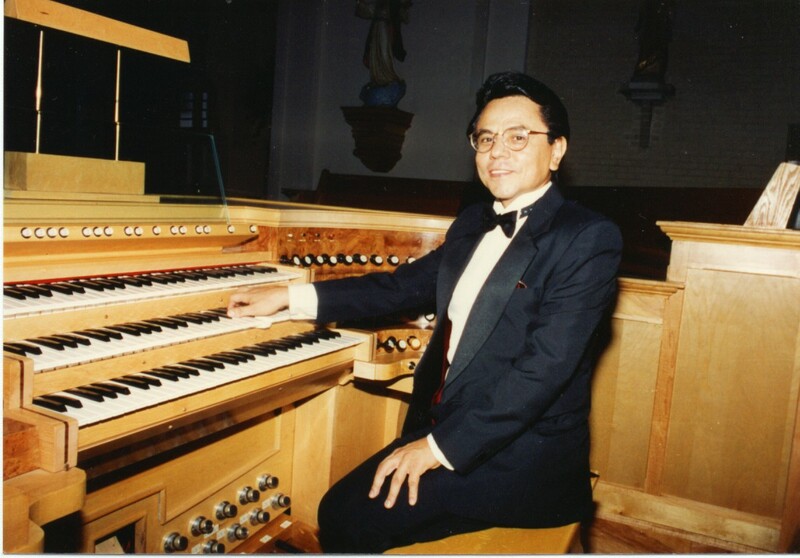 His music and liturgical work experience includes being the parish music director for St. John Vianney and St. Theresa in Houston, Our Lady of Guadalupe, St. John Neuman, San Martin de Porres, Catedral del Espiritu Santo in Nuevo Laredo Tamaulipas, México, and of course, at Blessed Sacarament Church where he has been present for more 20 years. During his earlier school years, he sang principal first Alto in the renowned Niños Cantores de Morelia, Michoacán under the director Luis Berber Equihua, the first Michoacan director. The choir also had the leadership of one of the prestigious directors, Romano Picutti, of the world famous Vienna Boys Choir in Austria. Traveling extensively throughout the Republic of México, Canada and most of the central and the eastern states fo the United States gave impetus in fostering his love for music as a professional career. We are indeed blessed and grateful for his being with us. Tags: #Compositor Manuel Ponce, #Nino Cantor vivo en EUA, #Sing boy of Mexico alive and living in the USA, #musica para bodas en laredo texas, #musica para funerales en laredo texas, #musica en vivo para fiestas, #music for weddings in laredo texas, #music for funerals in laredo texas, #private recording sessions in laredo texas, #band director for hire, #private piano lessons, private music lessons in laredo texas, #no fake keyboards, #piano bar music for hire, #showman for hire in laredo texas, #composer for independant movies, #composer for music for commercials, #musica en vivo, #manuel ponce and his romantic organ, #classic Hammond C5 organ, #Pipe Organist in south texas for hire, Manuel Ponce &"MCE" The Classic Three (since 1975) "GOOD MUSIC FOR GOOD PEOPLE", Bilingual Church Organist for hire in South Texas, Carlos "La Jira" Riojas best drummer in Laredo Texas , Edy "Paco" Garcia best bassist and sound engineer in Laredo Texas, Music for Church events, Classical and popular music in English, Spanish, Latin, Gregorian Chant, and Italian in Texas. Laredo Musicians , Musicos en Laredo. ON A BRIGHT COLD SUNDAY MORNING IN FEBRUARY A CROWD OF CHATTERING LITTLE MEXICAN BOYS IN GRAY OVERCOATS AND FULL TRIMMED CAPS WERE MILLING ABOUT ON THE SIDE WALK IN FRONT OF A NEW YORK HOTEL. THEY HAD JUST RETURNED FROM AN EARLY CHURCH SERVICE, AND WERE PLAYING WITH YO-YOS (BALEROS IN MEXICO WHICH IS A SMALL TOP SIMPLE TOY CONNECTED TO A STRING ALL MADE OUT OF WOOD NOW WORTH $100 PESOS) IN THE SUNSHINE BEFORE GOING TO BREAKFAST. FUNNY EVERYONE LOOKED AT THEM LIKE THEY WERE CRAZY...WIERD...ALL THEY COULD DO WAS SMILE AND SAY HOLA...BUT LITTLE DID THEY KNOW THAT THE NIGHT BEFORE, IN NEW YORK'S CARNEGIE HALL, THEY HAD THRILLED AN AUDIENCE WITH THEIR FABULOUS AND HEAVENLY SINGING. "ALL CHILDREN SHOULD BE REQUIRED TO BE MEXICAN UNTIL THE AGE OF 15" "THAT MARVELOUS ENSEMBLE OF ANGELS" AS SOME HAVE CALLED THE "SINGING BOYS OF MEXICO" ONE OF THE FINEST CHOIRS OF THE WORLD, WHO HAD GIVEN A CONCERT RANGING FROM GABRIELI, BACH AND BRAHMS TO MODERN MEXICAN FOLK SONGS.